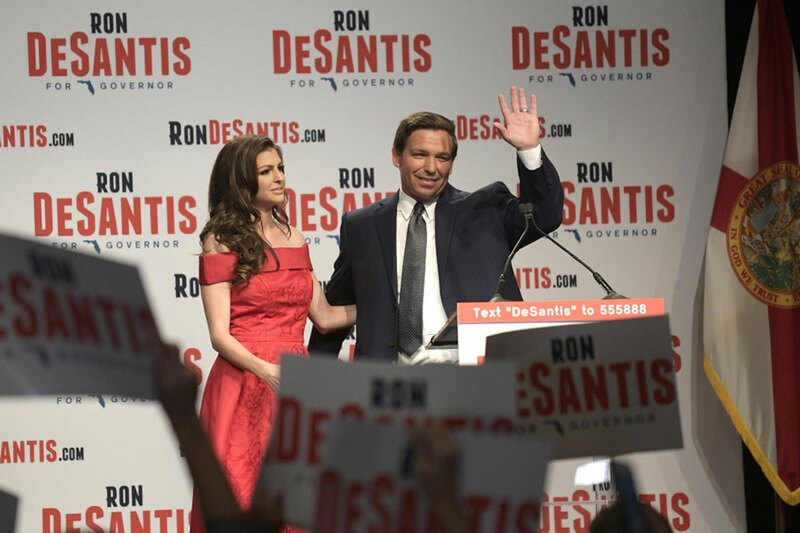 With President Trump’s endorsement, US Rep. Ron DeSantis wins Florida’s GOP nomination for governor, beating Adam Putnam. Trump endorsed US Rep. Ron DeSantis in the Republican primary for governor over Agriculture Commissioner Adam Putnam. Rep. Ron DeSantis rode a robust endorsement from President Donald Trump to victory Tuesday in Florida’s Republican gubernatorial primary. DeSantis was one of several Republicans running in contests in Florida and Arizona who hoped that cozying up to the president would be rewarded by voters.